Essential reading for those who work in global health, this practical handbook focuses on what might be the most important lesson of the last fifty years: that collaboration is the best way to make health resources count for disadvantaged people around the world. 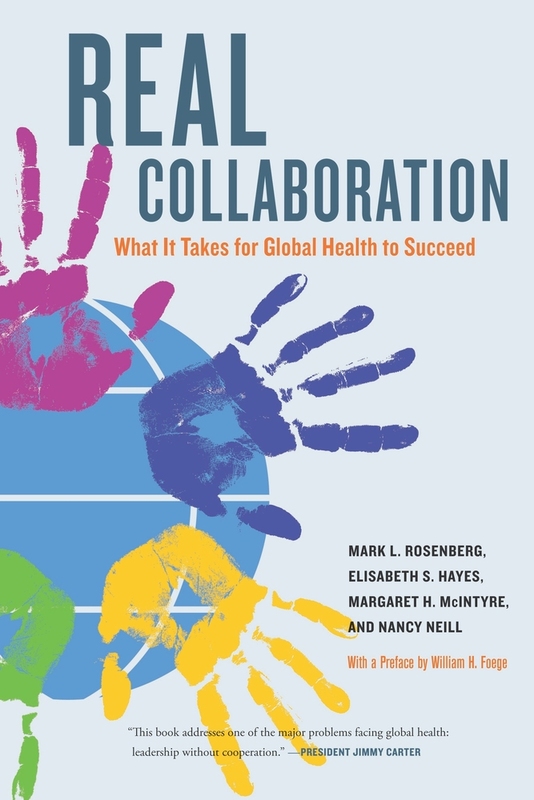 Designed as a learning resource to catalyze fresh thinking, Real Collaboration draws from case studies of teams struggling to combat smallpox, river blindness, polio, and other health threats. In honest appraisals, participants share their missteps as well as their successes. Based on these stories, as well as on analyses of many other enterprises, this accessible, engaging book distills the critical factors that can increase the likelihood of success for those who are launching or managing a new partnership. Mark L. Rosenberg is President and CEO of The Task Force for Global Health. Elisabeth S. Hayes is Associate Director of the Center for Global Health Collaboration at The Task Force for Global Health. Margaret H. McIntyre is President of MHM Associates. Nancy Neillis a writer and consultant who has worked with global health teams for more than a decade. These toolkits have been designed as downloadable and writable PDF forms. They are to be used in conjunction with the models outlined in the handbook Real Collaboration and as supplementary teaching aids.